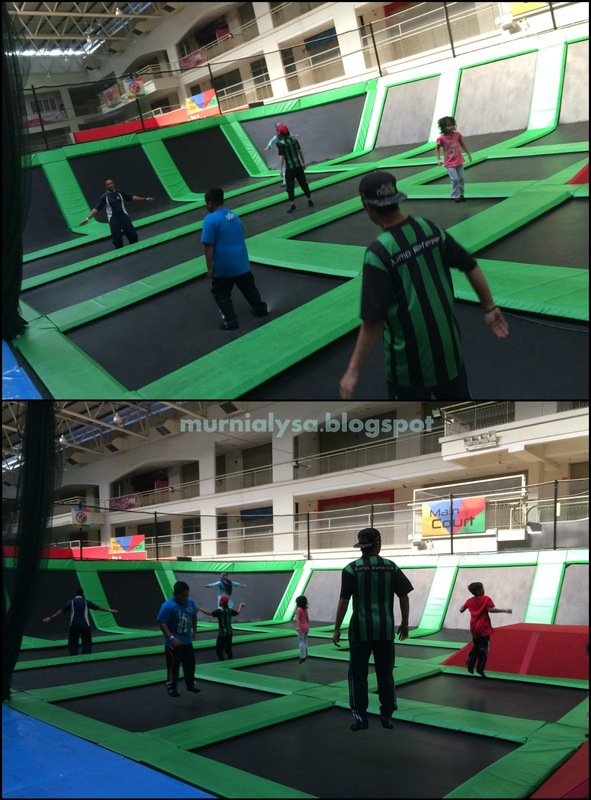 Mega Jump Aerobics at Jump Street, Penang!! 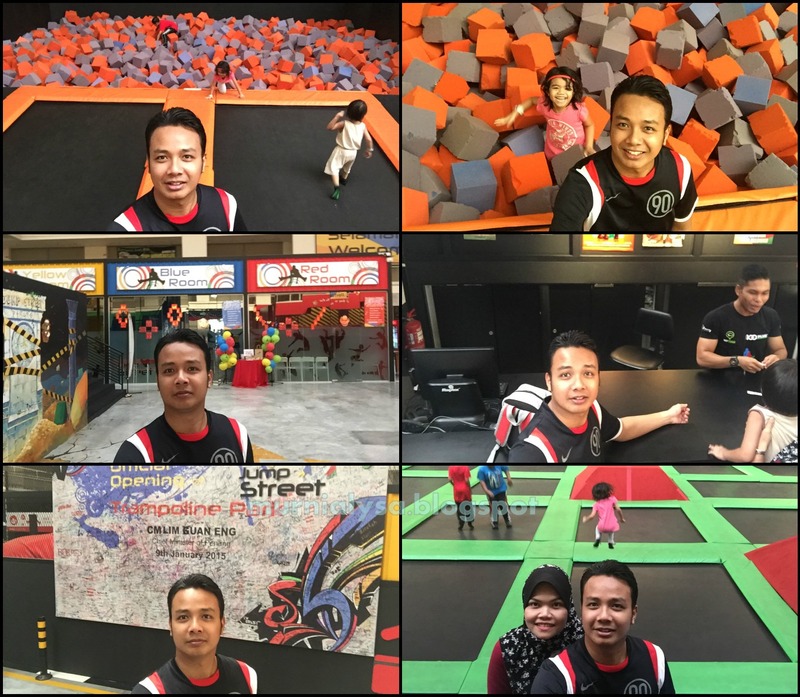 At Jump Street, we proud ourselves in our fun, creative and innovative approach to Aerobic. Aerobics is a form of physical exercise that combines rhythmic routines with stretching and strength training routines with the goal of improving all elements of fitness (flexibility, muscular strength, and cardio-vascular fitness). In our clean and safe environment with full range of trampolines equipment, we offer trampoline aerobics programs for all age groups and level. Jumping on trampoline increases the heart rate and gives your heart, a very important muscle, a great workout. The combination of cardiovascular exercise and the strengthening of the muscles contributes weight loss. As muscles strengthen they aide in the increase of the metabolism which helps to burn fat.The cardiovascular workout burns calories. By jumping on a trampoline for 20-30 minutes 3-4 times a week, weight loss can occur. Balancing on a trampoline is unlike balancing on anything else. The trampoline floor is constantly moving and jumpers must be aware of their center of gravity at all times. The balance on a trampoline helps improve balance in other activities. Haritu kami mulakan dengan aktiviti dengan meregangkan otot-otot dulu. Tetapi oleh kerana ini adalah kali kedua kami datang kesini kami dah tau laa selok belok peraturan dan keadaan disini. 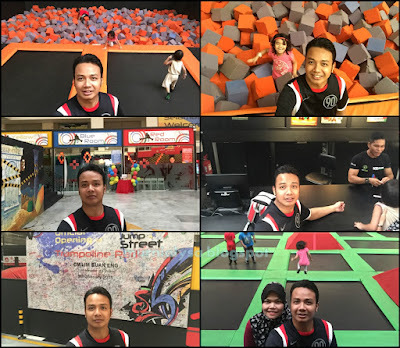 Throwback Jump Street sebelum ini. 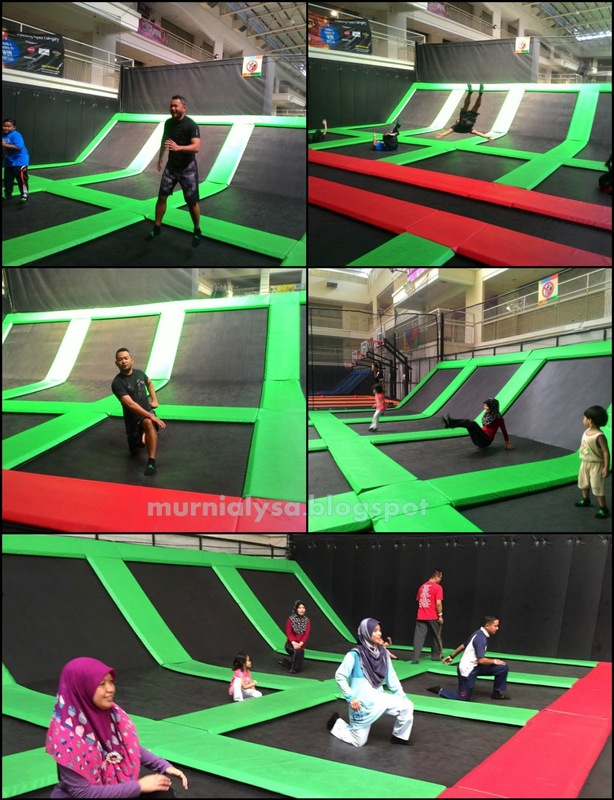 Setelah panaskan badan selama lebih kurang sejam, pada pukul 11 pagi kami memulakan sesi Jump Aerobics kami bersama head instructor for jump aerobics kita iaitu Mr Mohd Rizal Rosli @ Riz. Beliau berpengalaman selama 18 tahun dalam Group Fitness & Personal Trainer. Sebelum balik macam biasa..wefiee dlu...Bye!! 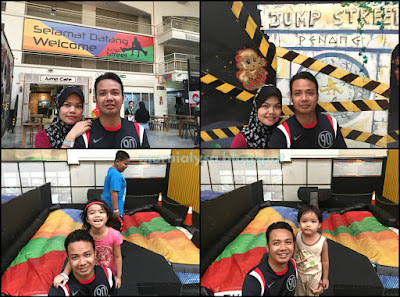 Ape2 pon terima kasih banyak kepada pihak Jump Street Penang kerana sudi menjemput kami. InshaAllah lain kali kami datang lompat lagi..
hehehehe.. Tapi kat sini xde lak..